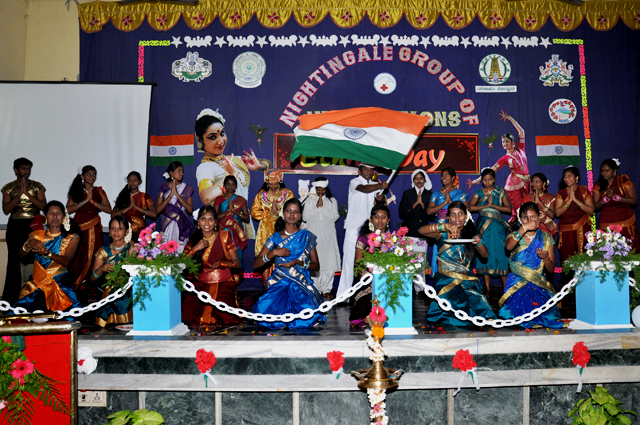 This day is celebrated to highlight the culture, traditions, believes & values of different states in India & abroad, since the students of Nightingale Group hail from all parts of india and from abroad. The day has its full fun by wearing regional costumes by our students and performance of dances, dramas pertaining to the different regions. We celbrate lamp lighting day in a grand manner with elegance and spirit. 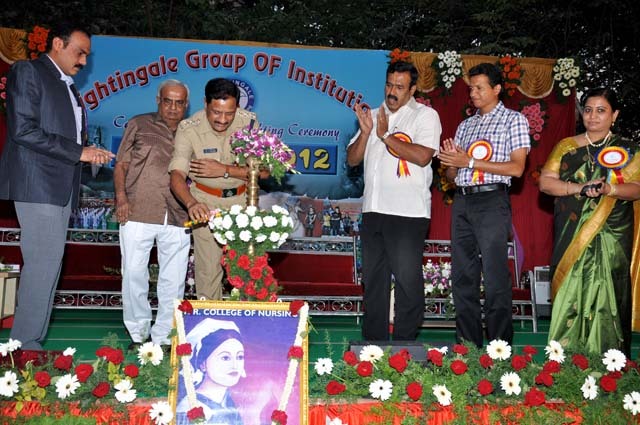 The ceremony is held in reverence to Ms Florence Nightingale, "The lady with the lamp". The oath taking cermony of the budding nurses takes place in the presence of parents evry year. The recitation of the oath is leaded by the principal of the institutuin. 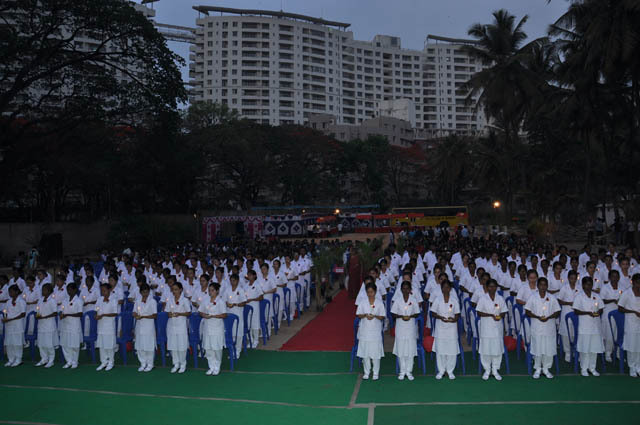 This ceremony initiates students in to the noble profession of the nursing, adorned in their uniforms for the first time. It helps to enlighten the students and encourage them to dedicate themselves to the nursing profession, welcomes studnets to their chosen profession. Every year cultural competition are held to bring out the hidden talents in various aspects like dances, skits, Solo singing, Group song, Mimicry, mono-act for encouraging & promoting student capacities and to highlight, project them and prepare them for state level & National level competitions. 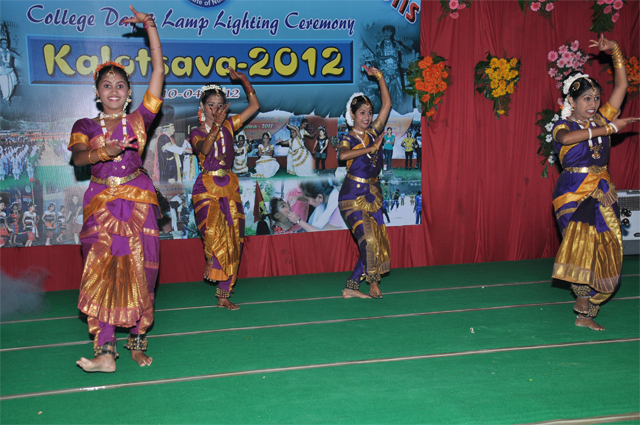 We celebrate annual day every year and the studnets participate in all cultural events with great enthusiasm. It is a very special day for expression and creativity to bring out talents in students. Evry year cultural competions are held to highlight the student's excellence in mimicry, solo-dance, solo-song, traditional dances bharatanatyam, kathakali, kuchipudi, folk dance and western. Cultural event during academic life does contribute to the manifestation of social, intellectual, physical and mental perfection. It helps students to exhibit their hidden talents in cultural and literacy activity and provides opportunities to enhance good interaction.